Fire Note Says: Another fine rockin’ country album from these St. Louis pros. Of course, Henneman comes to outlaw music honestly. On Uncle Tupelo’s third album March 16-20, 1992 he sat in the band playing guitars, banjo, mandolin and all manner of stringed instruments. And when UT broke up and Jeff Tweedy hurried to put together Wilco’s debut, “A.M.”, he turned to Henneman to play most of the guitar leads. But those bona fides aside, The Bottle Rockets was always the Americana band most likely to encore with a song by Lynyrd Skynyrd or Neil Young’s Crazy Horse, they offer up a rare mix of twangy country, garage rock tones, and Southern jam band flair, and they bring all that together once again on this new album. With a take on blue-collar life in Middle America that would make John Prine proud, the songs on Bit Logic take on the challenges of modern life: coping with social media, making a living, getting down the highway, getting away from it all. In “Human Perfection,” Henneman sings, “I heard a ballgame on the radio, in the background playing low, the crack of the bat, the crowd went wild, I looked at my wife and she just smiled, forgot about the damn election when faced with human perfection.” And that kind of sums up this album’s attitude, a commitment to look for good where you can find it, music that leans toward up-tempo, bright and twangy guitar picking, and fun, catchy songs that give off positive vibes. The title track takes on technology, “Highway 70 Blues” recalls “1000 Dollar Car” in bringing humor to one of life’s more annoying challenges, driving in a traffic jam. “Lo-Fi” starts off celebrating “Al Green in the kitchen/on the AM radio” but then notices how folk who used to love a high quality home stereo are now satisfied listening to music though ear buds on their phone. Besides “Human Perfection” there’s a couple more love songs, “Way Down South,” about missing his wife while driving to a gig in Texas, and a lovely acoustic ballad that closes out the album called “Silver Ring.” Two songs are about places Henneman likes to make music: his spare practice room, “Knotty Pine,” and “Stovall’s Grove” a honky-tonk in Wildwood, MO, where Henneman is likely to play with his local St. Louis country cover band, Diesel Island. 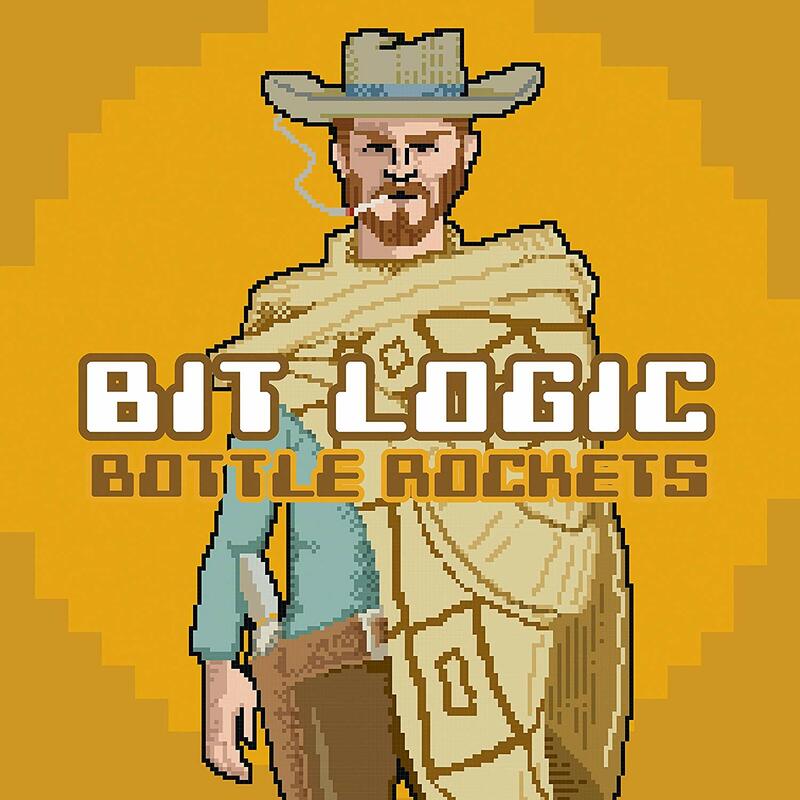 The Bottle Rockets have rocked harder in the past, but here on Bit Logic they lean toward crisp pop song productions, and plenty of great guitar sounds from Henneman and John Horton, but in bright, succinct solos. The emphasis here is on the songwriting and that’s a good thing, which benefits from the solid rhythm section of Keith Voegele on bass and Mark Ortmann on drums throughout. “Bad Time to Be an Outlaw” may complain that they “don’t make much money, sad but true,” but The Bottle Rockets confess: “Don’t get me wrong I love what I do/Couldn’t even change if I wanted to.” Which is also a very good thing, and as long as we’re hoping for the best, “Maybe Tomorrow” they’ll get better paid. In the mean time, at least we have another fine rockin’ country album from these St. Louis pros.